Another new ride-sharing service has rolled into the region, this time in the form of a nonprofit. 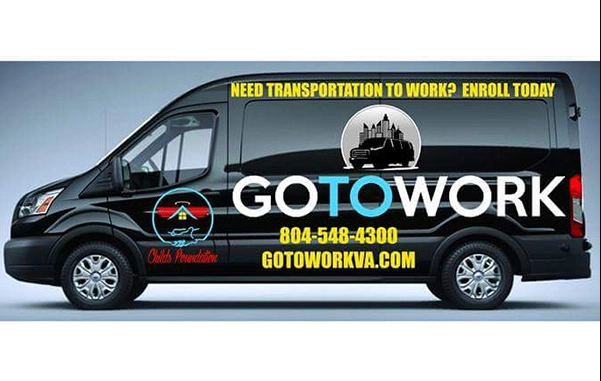 GoToWork, a Norfolk-based company that provides round-trip transit to work for those who live in areas with limited public transit options, launched in Richmond in August and went live in the Hampton Roads region last week. Founder and CEO Kiana Childs said GoToWork’s service radius includes Richmond, Ashland, Petersburg, Chesterfield, Glen Allen, Colonial Heights and Henrico. Members schedule rides through GoToWork’s website. The company currently picks people up at their homes, but Childs said she hopes to progress to designated stops. The service runs 4 a.m. until midnight daily. GoToWork operates as a membership program, with a $10 fee and then $50 per week for five round trip rides of 10 miles each. If a member’s commute is longer than 10 miles each way, it bills extra on a tiered scale. “We can’t compete with a bus pass, but what we can offer is professionalism and convenience,” Childs said. GoToWork’s fleet of 10 vehicles ranges from sedans to 15-passenger vans, some of which are handicap accessible. Childs said the firm is renovating an office building in Forest Hill which it aims to open in February. The company employs 11 people, and Childs said she plans to bring on 40 employees as a part of a $500,000 investment into the Richmond branch of GoToWork. “The $500,000 will go towards more vehicles, staffing and the facility,” she said. GoToWork has about 100 daily users in Richmond. The service operates as a function of the Childs Foundation, Childs’ nonprofit that advocates for sustaining employment and improving quality of health in the Richmond and Tidewater regions. Another ride-hailing service, RoundTrip, a startup for non-emergency medical transportation, went live in Richmond earlier this month.